Mondays. They are worse than Dr Doom and after a heavy one, it can be a little hard to get the drum pumping again for the week ahead. In The Comics' Beat, I chuck up a musical hit saluting comics' best. This week, if any song of late rivals 'Uptown Funk' it is 'Get Stupid' by Aston Merrygold. 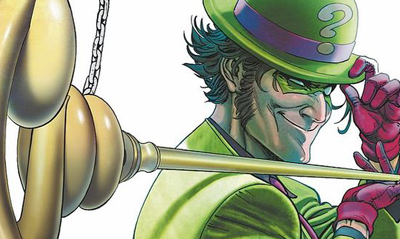 Well it definitely is pretty catchy, and who doesn't love a good Riddler name drop?